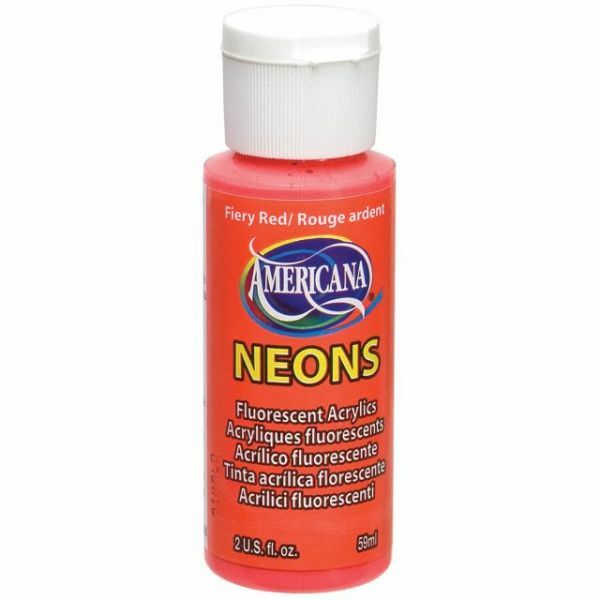 Deco Art Fiery Red Americana Neons Fluorescent Acrylic Paint - DECOART-Americana Neons Acrylic Paint. 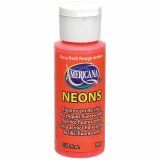 This high quality acrylic paint comes in a brightly colored neon palette and is highly pigmented and concentrated for excellent coverage, blending and mixing capabilities. This water-based all-purpose acrylic paint was designed to be used on wood, plaster, terra cotta, paper, chipboard, paper mache and many more surfaces. This package contains one 2oz/59ml plastic bottle of paint. Available in a variety of neon colors: each sold separately. Conforms to ASTM D4236. Made in USA.